The SymFest’2016 “Music and Symmetry” program is divided in two concert nights July 19-20 2016. The SymFest’2016 concert program is scheduled in five performances, each of which is dedicated to different kinds of music: Biocomputer Music; Genetic Music; Symmetry in contemporary music; Genetics, 5D Geometry, Multimedia Art; Symmetry in classical music. 19-20, July, 2016 in Vienna. The planned «Music and Symmetry» program is divided in two concert nights in five concerts. The individual concerts include: Biocomputer music, (2) Genetic music (3) Symmetry in contemporary music, and (4) Genetics, 5D Geometry, Multimedia Art, (5) Symmetry in classical music. The world premiere of the introduction of the “genetic music” (2), is based on Fibonacci-stages scales is related with parametric characteristics of the molecular genetic system (DNA molecules). 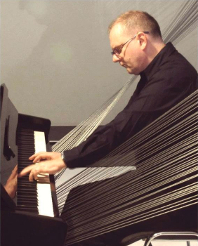 The other parts of the concert include the minimalist composer, Tom Johnson, a former student of Morton Feldman (USA/F), Eduardo Reck Miranda (UK) with bio-music, the Scottish musicologist and pianist Roy Howat (UK), a multimedia performance planned by Renate Queheberger and her team, and others. The goal of the contemporary music concerts is a public representation of a few essential directions of creativity in the field of modern music and symmetries. One of them is so called “genetic music”, which is based on Fibonacci-stages scales related with parametric characteristics of the molecular genetic system (DNA molecules). This genetic music is developed in the Moscow P.I. Tchaikovsky Conservatory by a team of musicians, first of all, Alexander Koblyakov, Ivan Soshinsky, Ivan Stepanyan, Michail Puchkov on the basis of mathematical and genetic researches of Sergey Petoukhov in the Russian Academy of Sciences. Possible applications of genetic music for musical therapy are also analyzed. The first concert of the genetic music has been successfully conducted in Vienna on 4 June 2015. A multimedia production by Renate Quehenberger of genetic music with a visual projection of 3D animated geometric configurations matching audible symmetries. Compositions in genetic music scales will be written by one of the developers of this new direction of music culture: the Russian biophysicist and composer Ivan Soshinsky. 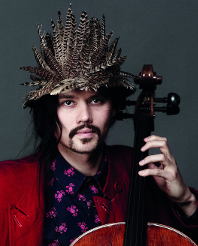 Solo sets by the Austrian sound artist and violinist Mia Zabelka and the Australian-Japanese cellist, cembalist and composer Benjamin Skepper are completing the multinational genetic-symphony. The art researcher Renate Quehenberger develops — on the base of her 5-dimensional geometry researches — a synchronic visualization related with the acoustic patterns of the newly developed genetic music scales. 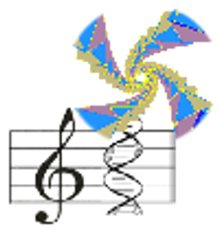 These scales are based on matrix genetics, — algebraic descriptions of the genetic alphabets and quint genomatrices of Hydrogen bonds of DNA — developed by the Russian scientist Sergey Petoukhov, whose lecture will be read in the conference program of the Symmetry Festival, in the session devoted to “Music and Symmetry”. Tom Johnson received B. A. and M. Mus. degrees from Yale University, and studied composition privately with Morton Feldman. He is considered a minimalist, since he works with simple forms, limited scales, and generally reduced materials, but he proceeds in a more logical way than most minimalists, often using formulas, permutations, predictable sequences and various mathematical models. Johnson is well known for his operas: The Four Note Opera (1972). Often played non-operatic works include Bedtime Stories, Rational Melodies, Music and Questions, Counting Duets, Tango, Narayana’s Cows, and Failing: a very difficult piece for solo string bass. Johnson received the French national prize in the victoires de la musique in 2001 for Kientzy Loops. 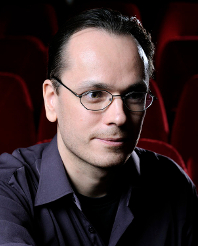 Eduardo Reck Miranda is a Brazilian composer currently working in the United Kingdom, where he is Professor in Computer Music and leader of the Interdisciplinary Centre for Computer Music Research (ICCMR) at the Plymouth University. He is one of the main protagonists of Music Neurotechnology and a pioneer of using interactive biocomputing in musical composition and performance. The inside story of his acclaimed choral symphony, Sound to Sea, is revealed in the book Thinking Music, published by University of Plymouth Press (ISBN 978-1-84102-3-601). The book includes the full score and a CD with the recording of the premiere by Ten Tors Orchestra. Distinguished pianist and scholar. 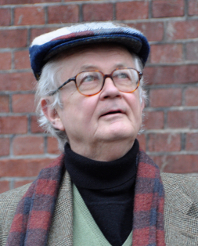 Roy Howat presents a public masterclass at the University of Washington (Seattle). He teaches at the Royal Academy of Music (London), and has published Debussy in Proportion (Cambridge, 1983) and The Art of French Piano Music (Yale, 2009). A Steinway Artist, he is editing the Urtext version of Gabriel Fauré’s works for Peters Edition. 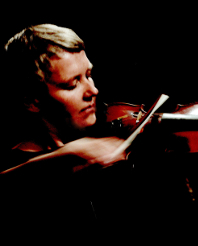 Mia Zabelka is an internationally performing sound artist and violinist. 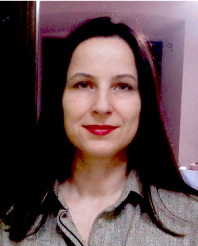 Since April 2015 Mia Zabelka is the president of the Society for Free Improvisation and Experimental Music Austria (SFIEMA). She is the artistic director of Klanghaus Untergreith in South-Styria / Austria and Phonofemme Festival in Vienna / Austria. The recent edition of Phonofemme, which took place in October 2015 at the Wiener Konzerthaus. Benjamin Skepper is multi media artist, classically trained musician, composer, and cultural advocate based between Tokyo and Melbourne. He is a Foreign Representative and Ambassador of the Genetic Music School“, Invited Fellow of the Moscow Conservatory, Brand Ambassador and Endorsed Artist for Yamaha Music. He is also the Australian Ambassador for Culture to Russia and uses art as a vehicle for global diplomacy. Composer, a member of the Russian Union of Composers. He graduated from the Moscow P. I. Tchaikovsky Conservatory in 2012 and he works there now. Musical works by him were performed in the halls of the Moscow Conservatory, at the festival Moscow Autumn, in France, the Netherlands and Austria. Before the Moscow Conservatory he has graduated Moscow M. V. Lomonosov State University as a biophysicist in 2002, and he worked as a biophysicist for the Russian Academy of Sciences. Sphere of interests: compositions of academic music, mathematics, algorithms and computer programming, electronic music. His musical pieces of genetic music were successfully performed in the concert held in Vienna on 4 June 2015. Sergey V. Petoukhov, Prof. Dr. Phys.-Math. Sci, Laureate of the State prize of the USSR, head of the Laboratory of Biomechanical Systems at the Russian Academy of Sciences, Moscow. He is a leading member of the Center of Interdisciplinary Studies of Musical Creativity of the Moscow P. I. Tchaikovsky Conservatory. 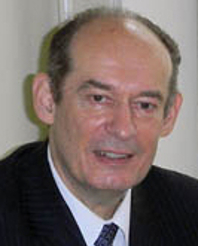 He is a chairman of the Advisory Board of the International Symmetry Association., co-leader of multi-year scientific cooperation between Russian and Hungarian Academies of Sciences. In 2012, the Chinese government has included Petoukhov in its official List of Outstanding Scientists in the World. He is professor of the Moscow Physical-Technical Institute. 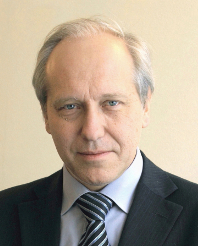 Prof. Konstantin Zenkin is Vice Rector for Science in the Moscow P. I. Tchaikovsky Conservatory. He is a professional pianist and musicologist. 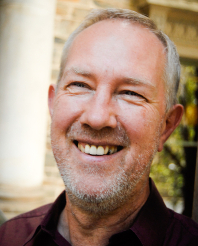 Dr. Zenkin is the author of 4 books and more than 130 papers on various aspects of music history, music philosophy and history of piano performance, participant in more than 230 international conferences. His Ph.D. thesis was entitled Chopin’s Piano Miniature and its Role in the Historical Artistic Process (1987) and his Doctor of Fine Arts thesis Piano Miniature and the Ways of Musical Romanticism (1996). 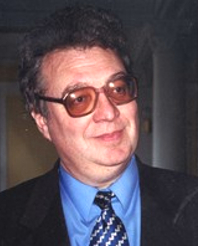 Prof. Alexander Koblyakov, Dean of the Composition Faculty of the Moscow P. I. Tchaikovsky Conservatory. He is Head of the Center for Interdisciplinary Studies of Musical Creativity at the Conservatory where researches of different aspects of genetic music are conducted. He is a Laureate of the International Composers’ Competition. Member of a) the Russian Union of Composers; the Union of Cinematographers; the Board of the Moscow branch of the Union of Composers of the Russian Federation; the Admissions Committee of the Composers’ Union of Russia; and the Academy of Motion Picture Arts Nika. 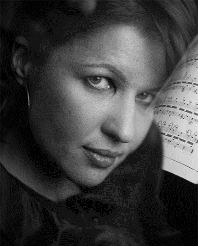 Natalia Cherkasova (piano) completed her postgraduate studies at the Moscow State Conservatory in 2005. Natalia won a lot of young performers competitions (in Dobrich, Bulgaria, 2001, Krakow, Poland, 2006 and so on). She combines her solo activities with ensemble playing, taking part at such festivals as Moscow Autumn and Moscow Forum. She took part also in different master-classes and workshops of such performers and composers like Beat Furrer, Philippe Hurel, ensemble Recherche and many others. Since 2005 she is a member of Studio for New Music ensemble in the Moscow P. I. Tchaikovsky Conservatory. 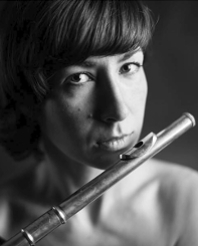 Marina Rubinstein (flute) graduated in the Moscow P. I. Tchaikovsky Conservatory at the Faculty of Modern Music. She is winner and recipient of prizes of International competitions in Moscow, Vienna, Rome. As a part of a trio, she became the owner of a prize for the best performance of classical work at the competition of chamber music in Caltanissetta (Italy). Marina is soloist of the ensemble Studio of New Music under control of V. Tarnopolski (Conductor I. Dronov) in the Moscow Conservatory. She is playing with the ensemble Academy of ancient music under control of T. Grindenko. Composer, musicologist and associate professor at the Moscow P. I. Tchaikovsky Conservatory. 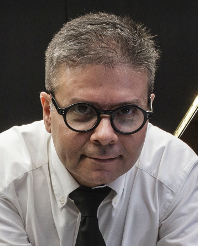 Zagny performs his own music, playing piano, organ and nontraditional instruments. His work has been published by Long Arms Records, Dom Records and Fancymusic. In his paper, Imitation: Traditional and Nontraditional Transformations of Melodies, a new theory of imitation and canon is described (first published in English in Perspectives of New Music, Volume 37 Number 2, Summer 1999). He is probably the first composer to work with Magic Stars. First Russian “John Cage Prize” Laureate (1992). The Russian Centre of Science and Culture in Vienna sponsors the genetic music project introduced at the concert, and plans to organize the next concert of genetic music from the Moscow Conservatory in Autumn 2016 in its own concert hall in Vienna on the occasion of the 150th anniversary of the Moscow Conservatory.